Found and Favored Ministries releases the addicted and hurting into the grace and freedom of God. 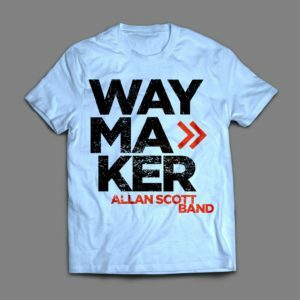 F&FM operates as the non-profit organization of the music ministry of Allan Scott. As an ex-drug addict and alcoholic, Allan has seen God restore the pieces of his broken life. Allan shares his story of hope and freedom through Christ at worship services, conferences, and retreats across the country using a mix of original music, teaching, testimony, and times of response. Here’s the irony—many of the places that need us the most can’t cover the ministry costs of putting on an event. But your one time or ongoing donation will help F&FM cover travel, equipment, and personal expenses. Your support allows us to say yes to the people in desperate need of being set free. In addition to funding the event, your support allows F&FM to create original grace-based music and media that will affect people long after the event. Music can powerfully impart a message that is life-giving and focused on Jesus. Your one-time or ongoing donation helps offset recording and production costs. Found and Favored Ministries is a fund of the Central PA Community Foundation 501(C)(3). Donations are collected by CPCF and then disseminated to F&FM. Your information will be shared with Found and Favored Ministries unless you would prefer to keep it private, in which case, please contact CPCF.